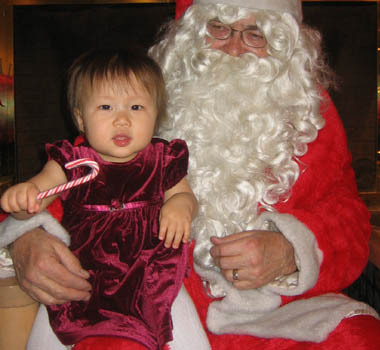 diapers, budgets & paint: ho, ho, ho! 0 Comments Published by kim on Sunday, December 24, 2006 at 8:09 PM. she thinks he's nuts, without a doubt! emmy's snug in her bed waiting for santa to come... are you?